"We have a cure we cannot afford" - so said Dr. Steve Pearson at yesterday's meeting of the California Technology Assessment Forum, or CTAF. I was a first time panelist. See this story in the Washington Post about the meeting. 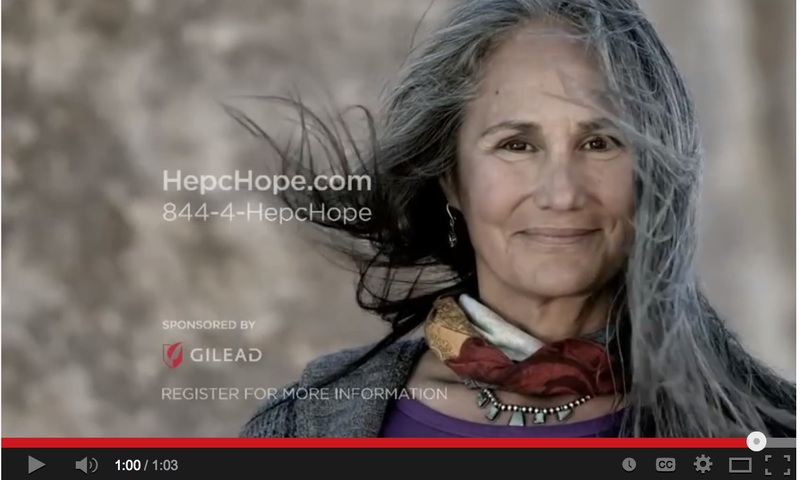 New treatments for hepatitis C are pretty amazing. Old treatments included injections that made people pretty sick (basically like having the flu for months) and were about a coin flip as far as effectiveness. New treatments may include pills alone. We still need more data on these medications, particularly for subgroups of patients such as those with advanced liver disease, but the early results are very encouraging - 80 to 90+% cure rates in some patients. Several problems complicate the good news story here. The treatments are remarkably expensive, about $1,000 per pill. As one panelist noted, these prices are unconscionable. The US Preventive Services Task Force recently recommended that all baby boomers be screened for Hep C. About 3/4 of all patients with Hep C are boomers (estimated 2 million boomers infected). If even half of these patients who screen positive are treated, it would completely bankrupt our healthcare system. The disease does not harm the vast majority of people with chronic infection. But it does lead to cirrhosis or liver cancer in about 1/5 individuals over the course of 20 years. The group with the most disease - the baby boomers - are aging. They're about 50-70 right now. Over 20 years they'll be 70-90. We know little about the risks and benefits of treatments in the context of older adults who may die of other conditions, or have multiple medical problems in addition to hepatitis C.
The outcomes for the new drugs are "sustained virologic response" (SVR) meaning the virus is not detectible in the blood. This is not the outcome people care about. People care about not getting cancer, cirrhosis, or dying. Those are long term outcomes. We don't know about these long term outcomes yet. While there is a correlation between SVR and these outcomes, many promising treatments have changed blood markers only to fail to achieve the promise of long term outcomes. These failures have come at considerable cost and harm (for example, Hormone Replacement Therapy). Many of those with hepatitis C are absent from the table - incarcerated, using alcohol, or IV drugs. Regarding this last point, a group of protesters showed up at the CTAF meeting. They were supposed to show up before lunch to comment, but were late, and instead had to settle for silently holding up signs protesting the high price of new drugs. One of the ethical issues at stake here is concern for vulnerable populations. If this was a highly organized group - like say the gay community during the early days of the HIV epidemic - I suspect we would see tremendous pressure on pharmaceutical companies to lower costs. Instead, they can't get it together to show up to the meeting and have a seat at the table. My concern is that we'll end up with greater disparities in healthcare. My suspicion is these treatments will prove effective at reducing long term outcomes patients care about. Those who can afford high priced private plans will have access to these medications. Those who cannot afford high priced plans will rely on low cost or public plans that will pay for these treatments in only limited cases. And we will have millions of people who screen positive due to universal screening in baby boomers, and cannot afford treatment. They will be left worried, and maybe wishing they didn't know. We should either not screen, or lower the costs. We can't do both. Thanks for writing this Alex. Your tone is right on. Learning and reading about these new Hep C drugs is one of the most grotesque things I've read. They are charging this much simply because it is effective. If it was marginally effective, the prices would be lower. A truly remarkable therapy subject to supply and demand. I think insurance plans should unite against the company and force them to lower the price. Thanks Dan, agree that would be a good strategy, but not sure they're allowed to do that. Thanks for the very succinct analysis. My EMR has this check box on the health maintenance tab for checking Hep C (it also has one for urine micro albumin even if the pt is already on an ace/arb). So I've been checking hep c. This gives me a lot more useful info to tell my patients why and whether they want to do it or not.